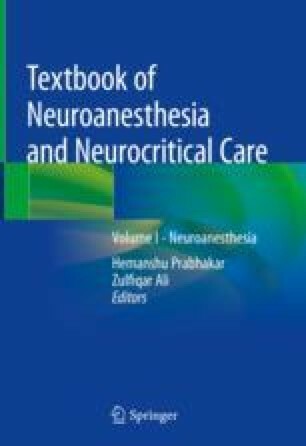 Trigeminal neuralgia (TN) is a unique neuropathic pain disorder characterized by agonizing unilateral paroxysmal pain occurring in one or more divisions of the trigeminal nerve territory. The disease has a complex underlying pathophysiology, involving peripheral as well as central sensitization. Clinical observations and electrophysiological studies support the concept that focal demyelination and ephaptic spread of excitation account for most of the pain paroxysms. In most patients, pain is evoked by non-noxious, light mechanical stimuli within the trigeminal territory, mainly the nasal and oral cavity. The most common etiological cause of TN is compression or other morphological changes of the trigeminal nerve by a blood vessel, usually an artery, at its root entry zone in the cerebellopontine cistern. The existing literature on TN has been plagued by use of multiple terminologies and definitions of different subtypes making comparison of different studies difficult. Recently, new classification system and diagnostic criteria for TN have been published as per the International Classification of Headache Disorders-3 code, based on a consensus between the International Headache Society and the International Association for the Study of Pain. The therapeutic management depends on the use of multimodal modalities, including a plethora of pharmacological and neurosurgical options. The first therapeutic line is pharmacological with either carbamazepine or oxcarbamezepine. Nonetheless, if the patient reaches the maximum dosage without achieving the desired pain relief, neurosurgical microvascular decompression is the procedure of choice as it offers effective long-term pain relief. Percutaneous ablative procedures, botulinum toxin injections, and stereotactic radiosurgery are other therapeutic options, useful for patients who have medically refractory pain and wish to avoid surgery or are at high surgical risk. Neuromodulation is the latest addendum among the therapeutic options for refractory TN and is currently under investigation. As nearly all patients with chronic pain demonstrate at least some degree of psychosocial stress, a thorough neuropsychological evaluation and support are quintessential component of treatment.